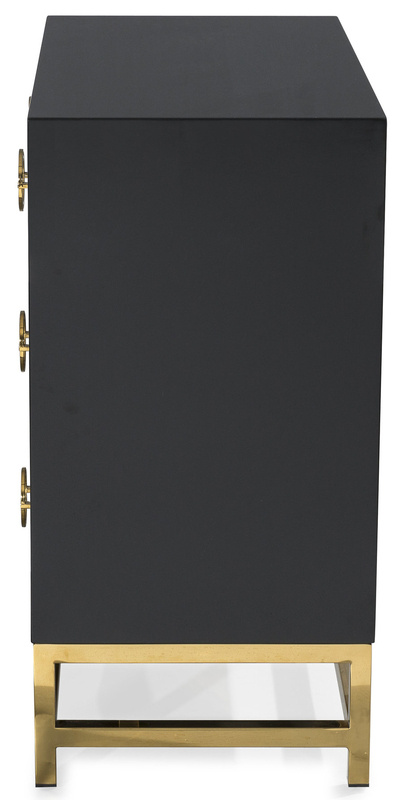 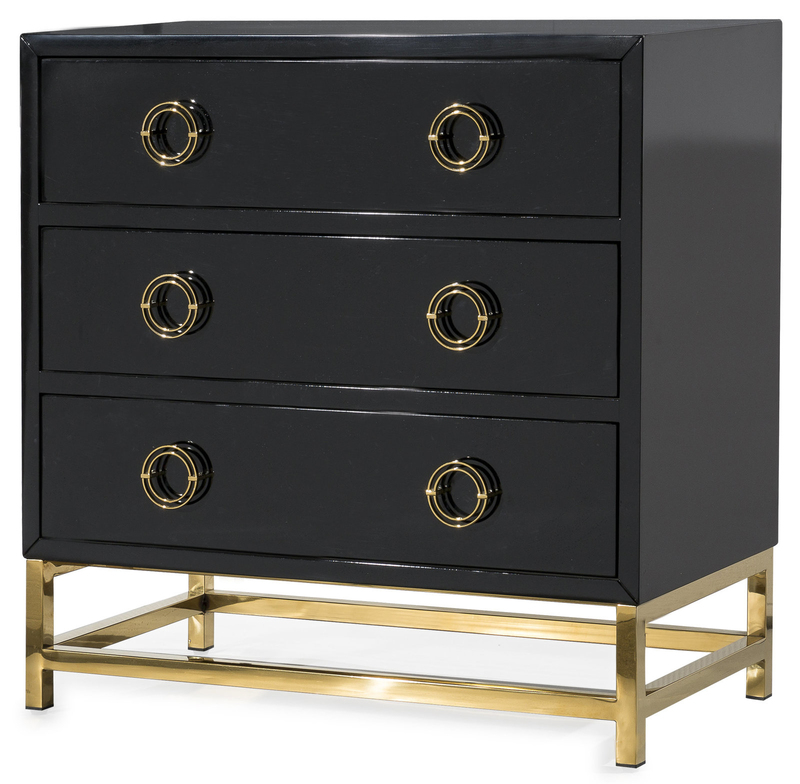 Inspired by luxe Hollywood decor, the Nobility chest is the ultimate statement piece. 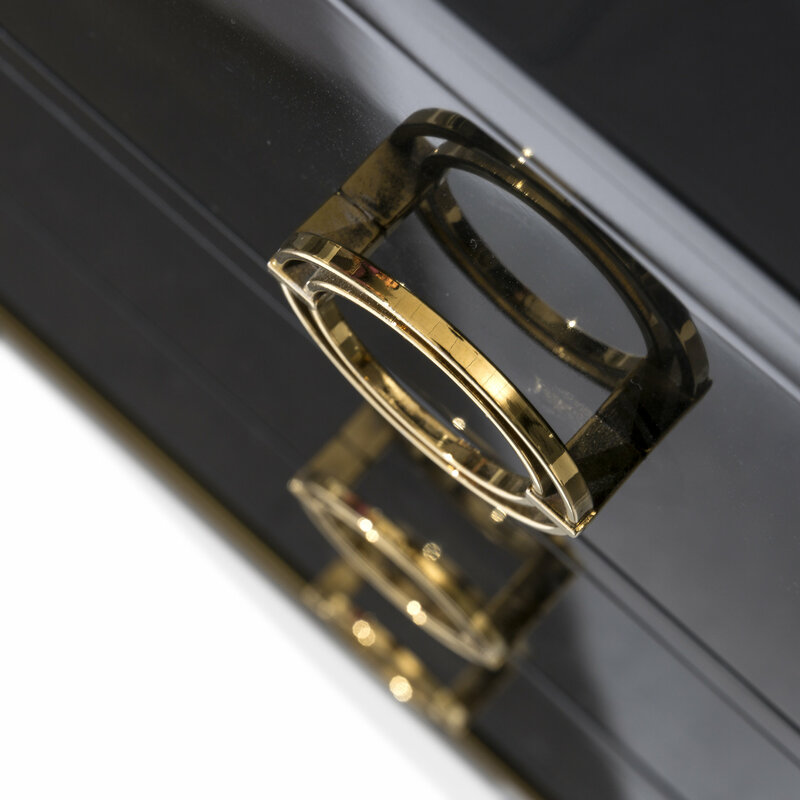 The gold handles pop against the high-gloss black base. 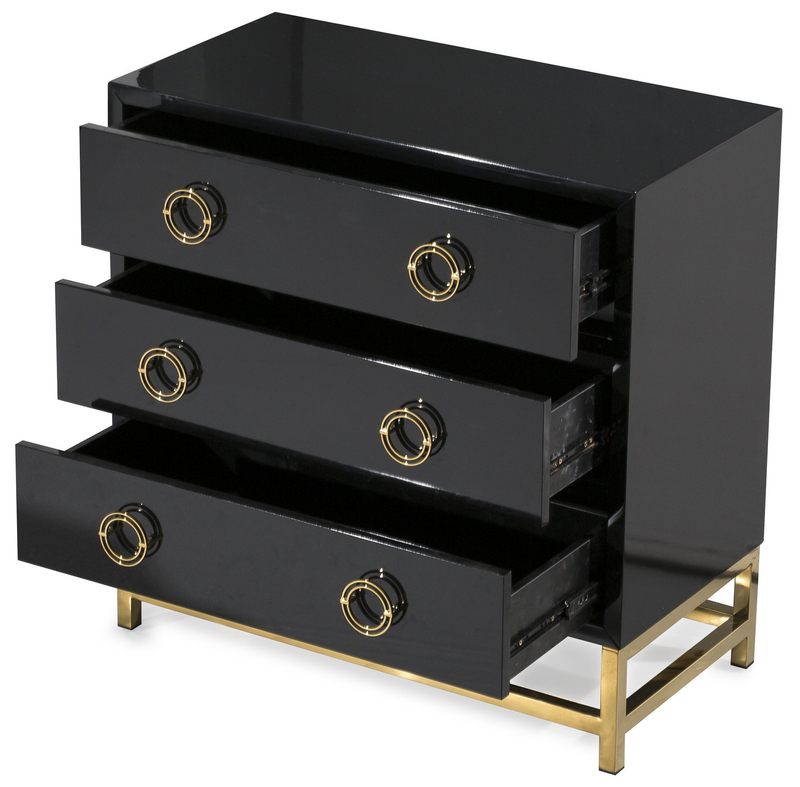 Add this piece to your room to crank up the glamour.